 At last one of the most talked-­about novels of last year is now available in an accessible mass-­market edition. 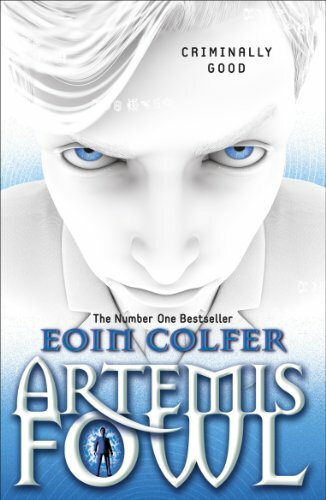 Twelve-­year-­old Artemis is a millionaire a genius-­and above all a criminal mastermind. But Artemis doesn't know what he's taken on when he kidnaps a fairy Captain Holly Short of the LEPrecon Unit. These aren't the fairies of the bedtime stories-­they're dangerous! Michael L. Printz Honor Book Los Angeles Times Book Prize Finalist When it comes to relationships, Colin Singleton’s type is girls named Katherine. And when it comes to girls named Katherine, Colin is always getting dumped. Nineteen times, to be exact. On a road trip miles from home, this anagram-­happy, washed-­up child prodigy has ten thousand dollars in his pocket, a bloodthirsty feral hog on his trail, and an overweight, Judge Judy–loving best friend riding shotgun—but no Katherines. Colin is on a mission to prove The Theorem of Underlying Katherine Predictability, which he hopes will predict the future of any relationship, avenge Dumpees everywhere, and finally win him the girl. Love, friendship, and a dead Austro-­Hungarian archduke add up to surprising and heart-­changing conclusions in this ingeniously layered comic novel about reinventing oneself. Boys don't keep diariesor do they?­The launch of an exciting and innovatively illustrated new series narrated by an unforgettable kid every family can relate to.­It's a new school year, and Greg Heffley finds himself thrust into middle school, where undersized weaklings share the hallways with kids who are taller, meaner, and already shaving. The hazards of growing up before you're ready are uniquely revealed through words and drawings as Greg records them in his diary.­In book one of this debut series, Greg is happy to have Rowley, his sidekick, along for the ride. But when Rowley's star starts to rise, Greg tries to use his best friend's newfound popularity to his own advantage, kicking off a chain of events that will test their friendship in hilarious fashion.­Author/illustrator Jeff Kinney recalls the growing pains of school life and introduces a new kind of hero who epitomizes the challenges of being a kid. As Greg says in his diary, "Just dont expect me to be all 'Dear Diary' . . .
Just after midnight, a snowstorm stops the Orient Express dead in its tracks in the middle of Yugoslavia. The luxurious train is surprisingly full for this time of year. But by morning there is one passenger less. A 'respectable American gentleman' lies dead in his compartment, stabbed a dozen times, his door locked from the inside . 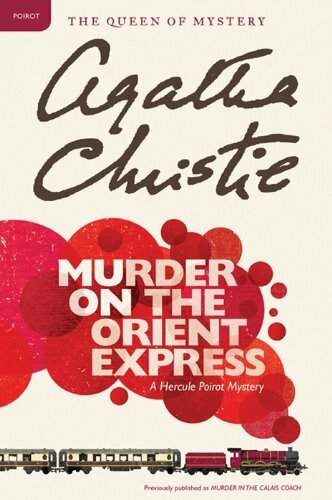 . . Hercule Poirot is also aboard, having arrived in the nick of time to claim a second-­class compartment -- and the most astounding case of his illustrious career. “Jam-­packed with action and romance from the very beginning, Hunter’s lifelike characters and paranormal creatures populate a plot that will keep you guessing till the very end. A perfect mesh of mystery, thriller, and romance. Vampires, weres and fae, oh my!­” —RT BookReviewsNow available together for the first time, don’t miss the complete collection, books 1-­5 in C. C. Hunter’s spectacular Shadow Falls series! Join Kylie as she learns to harness her powers, control her magic, and live in the normal world in this spectacular five book series containing Born at Midnight; Awake at Dawn; Taken at Dusk; Whispers at Moonrise; Chosen at Nightfall! Along with the two e-­original Shadow Falls novellas: Turned at Dark and Saved at Sunrise.­One night changes Kylie Galen's life forever. Caught at the wrong party, with the wrong crowd, at the wrong time, she's shipped off to Shadow Falls, a camp for troubled teens, but once there she soon discovers not everything is as it seems. Instead of . . .